Learn the Best Way to Clear Cache on iPad iOS 12! iPad Stuck? Here is How to Clear Cache on iPad iOS 12! The kind of tasks that we do with our computers and tablets (iPad), are often repetitive in nature. Allotting system resources for such tasks each time is not efficient, and hence the need for caching. iPad caches help the smooth running of apps, and faster loading times of web pages – by retrieving a previously saved version instead of trying to download the entire page all over again. However, over time, the process becomes counterproductive and takes up so much space that it reduces the iPad’s efficient running. That is when we need to clear cache on iPad. Safari stores data such as pictures from web pages, so as to make it go back to the same page quickly next time. It also implies that the content of the page hasn’t changed from the last time of visit. These data (such as cookies, history, pictures) can be cleared by simply going to the settings app that comes with your iPad. From there, look for the Safari app and tap on it. The options that concern you regards clearing your cache are “Clear History”, “Clear Cookies and Data”, and “Advanced”. Use the “clear history” and “clear cookies and data” as a first-line action. However, this will still leave some data in the cache. To clear this, use the advanced option. Tap on the clear all “website data” to clear all of the data in Safari cache. Safari stores data such as pictures from web pages, so as to improve page loading time the next time the same page is loaded. This is assuming the content of the page hasn’t changed from the last time of visit. 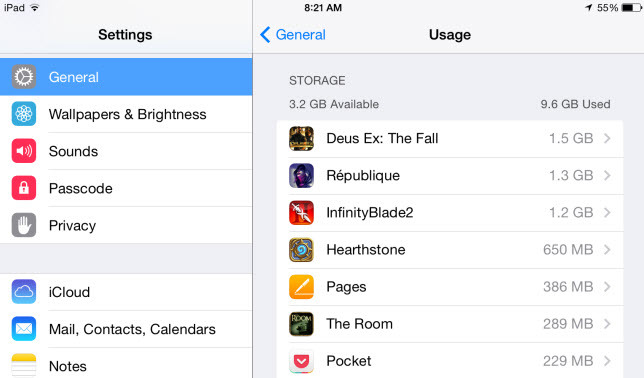 Once you tap the settings app, you will have to scroll down till you see the app whose cache you want to clear. Select the app in question, you will see the option to clear the cache, and voila your cache is cleared. And if you were having troubles with an app before, that should do the trick and make it open, and more responsive. It should be noted that you will have to clear the cache of each individual app on the iPad if you want to clear your cache totally. What if you could actually do all the above with just a click of a button, and clear all caches iPad? As in, no need to manually checking your phone looking for where and what to delete to free up more space on your iPad. Yes, the aforementioned are possible with the iMyFone Umate iPhone/iPad cleaner. Space cleaners are intuitive utilities that help to remove unwanted and unnecessary data stored in every nook and cranny of your device. There are various examples, but one that stands out is the iMyFone Umate iPhone Cleaner . 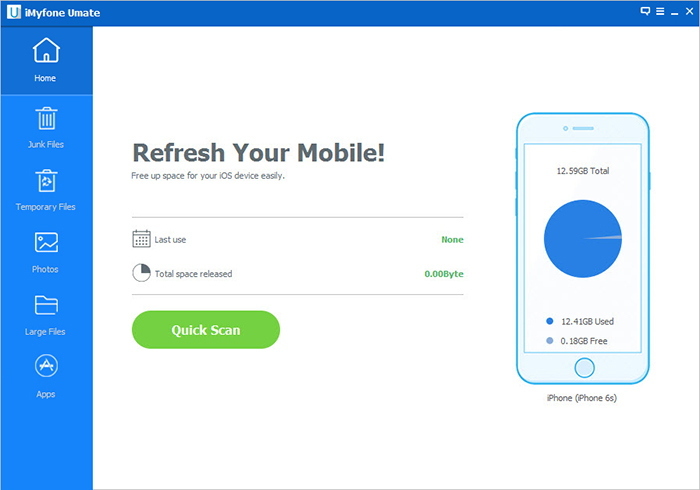 The iMyFone Umate iPhone cleaner is a one click space analyzer and cleaner. It takes the hassle of manually deleting app caches one after the other. Here are the features that make iMyFone Umate iPad cleaner an essential tool for every iPhone or Ipad owner. Step 1: Install iMyFone Umate cleaner. 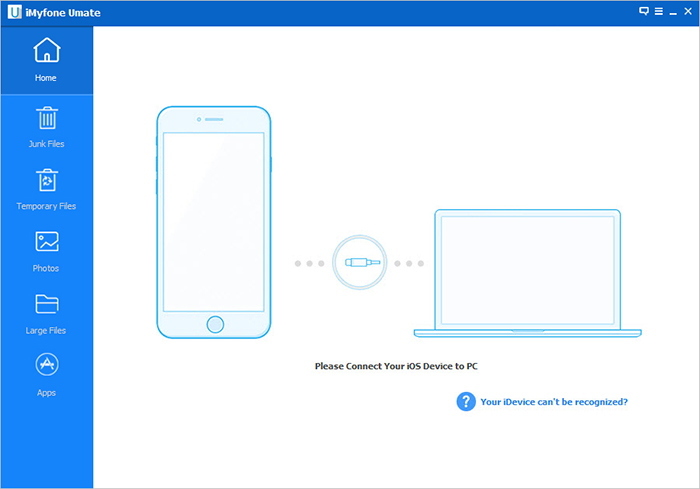 Step 2: Launch the application and plug in your iPad to your computer. Step 3: The details of your tablet are given on the home screen, click “Quick Scan” to get an analysis of your tablet. Step 4: Switch to different tabs to see the options you have, then click “Clean”, and within minutes, you are done! Tablets and smart phones are best enjoyed when they are fast, and respond appropriately to intended actions. That is why clearing the cache often is important, using any, or all of the above listed solutions.